What are the Advantages of Starting Your Own Business? Each month our fellow Marketers craft awesome content to share their knowledge and keep us up-to-date. And for April, we’ve hand-picked the top marketing, sales, and technology content so you can hit the ground running. Give these posts a read and make sure to bookmark for future reference. Storing and managing a business continuity plan is crucial. But where do you start if you don’t have BCP in place? No worries – Ben from Kuali has you covered. 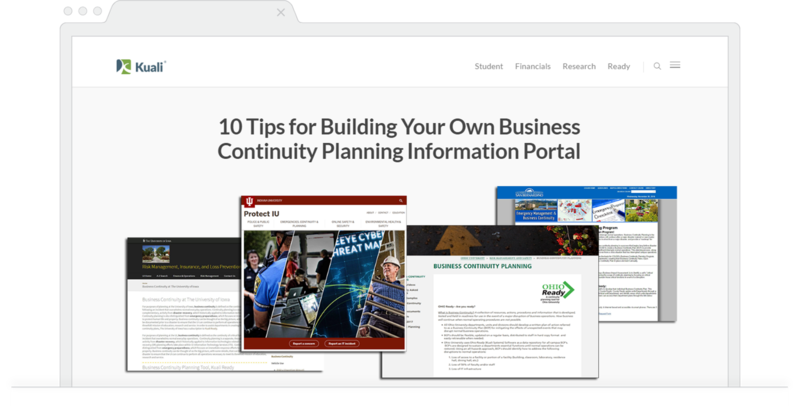 In his post, Ben lays out ten simple tips for building BCP Portals. What makes this post a must-read is Ben’s awesome format. Listing a ton of tips requires finesse. You need to keep your writing concise because you’re giving your readers a lot to process. And that’s exactly what Ben does. Give this awesome post a read and don’t forget to bookmark. B2B eCommerce sites need to stay relevant by providing a top-notch user experience. And in her post, Alyssa shares a few methods that B2B business can learn from their B2C counterpart. Alyssa’s post hits the nail on the head when it comes to revamping the B2B eCommerce experience. The post is packed with a ton of details and provides awesome references throughout. 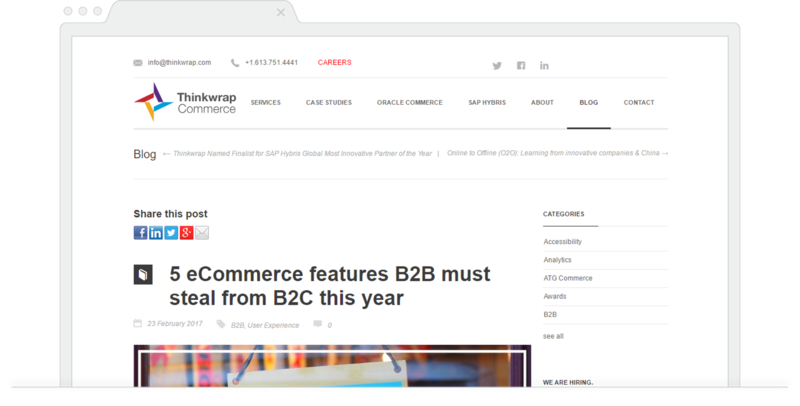 If you’re a B2B eCommerce site, this post is definitely worth the read. Thanks for the great content Alyssa. 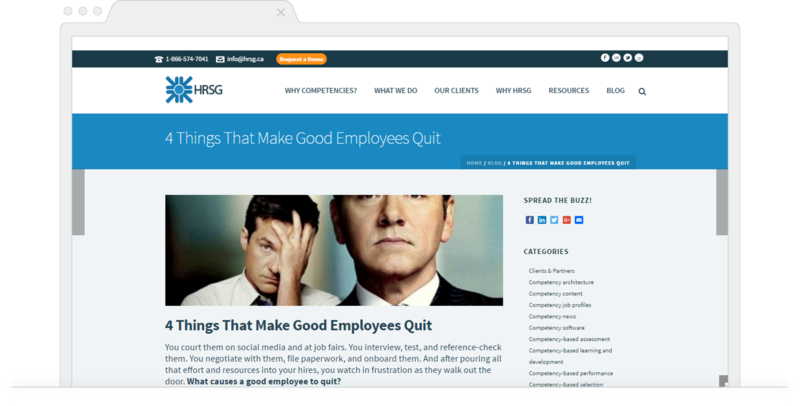 We had a great time reading this post from the HRSG team – because it’s spot on. Jam-packed with strong points and industry stats, this post is not only a good read for HR pros, but for anyone in business. Each point explains what organizations should look out for. It also provides awesome tips on how organizations can steer clear of these downfalls with competencies. A great read from the HRSG team. Starting a business is no easy task. There are a ton of considerations you have to factor in, plus 100 more you haven’t thought about. But let’s stay focused on the positives. And Robby from SlickPie does just that in his advantages of starting your own business roundup post. This post is a great read for anyone with the entrepreneurial spirit. There’s a lot that can tear a person away from their dreams, but this post focuses on why it pays off. Which is a breath of fresh air for many. Thanks for the great roundup, Robby. Email unsubscribe rates are an important metric for email marketers. It tells us when our email campaigns are heading south. And lucky for us, Sam from the Sleeknote team has solutions to help email marketers sleep easy at night. 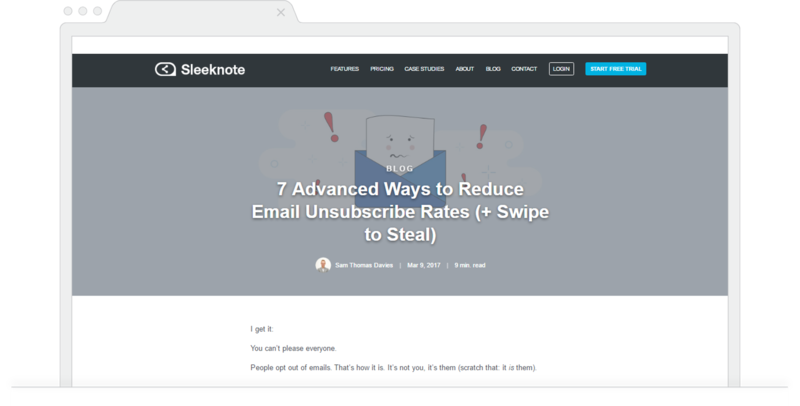 Sam describes seven tips email marketers can keep in their pocket for lowering unsubscribes rates. What we enjoyed about his post is that the tips are simple and straightforward. They’re also thoroughly detailed through great writing. If you need to sharpen your email marketing game, stay in touch with Sam and the Sleeknote blog. This month we came across a ton of great content, and here were a few of our favorites. Make sure to give these posts a read and don’t forget to bookmark for reference. Thanks to the awesome content creators for sharing their insights.